The technology company and premium tire manufacturer Continental announces the appointment of Kuldeep Singh as plant manager for its tire plant in Modipuram - Meerut, India. 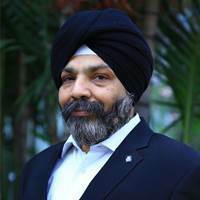 Kuldeep Singh succeeds Vivek Devgun who left Continental in June 2018. “The Continental tire plant in Modipuram has developed multifold since its acquisition in the year 2011. Therefore, with Kuldeep Singh on board, we have won an experienced professional with solid management experience in the industry and within Continental. Kuldeep Singh, together with our local team, will ensure also in the future a steady development of the plant and top products for the Indian market,” highlights Patrick Haarmann, Head of Manufacturing Commercial Vehicle Truck Tires. He also acknowledged Vivek Devgun for his five years of services to the plant. Kuldeep Singh has professional experience of over 29 years. In the last five years, he was working with ContiTech, another division of Continental, as Managing Director in Sonipat, Haryana. He holds a Post Graduate degree in Chemistry, an MBA in Operations along with a senior management diploma from The Open University Business School (OUBS), UK. He is an experienced auditor for ISO 9001, ISO 14001, and OHSAS 18001 and worked as a member of the worldwide ContiTech team who derived a leadership compass for their Power Transmission Group.